We can't offer a better explanation for this than the manufacturer: "The camera strap that started HoldFast. The reason I made the RuckStrap was because I could not find a strap to carry all of the things I needed for a day shoot. The RuckStrap is a stylish non-tactical camera strap that carries everything needed on a day shoot such as drivers license, a credit card, cash, memory cards, sunglasses, pens and extra batteries or film. 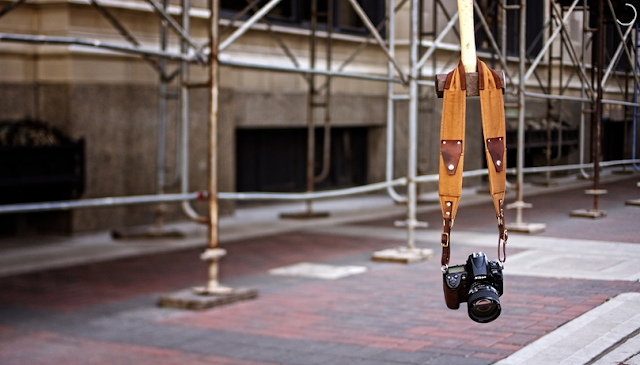 The RuckStrap holds all of these things comfortably while being highly durable and fashionable hence the name." And this is just one of the many beautiful photography accessories available from Holdfast. You can learn more here.